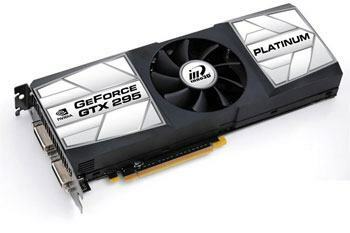 Inno3D has released the first GeForce GTX 295 with a single PCB (printed circuit board). This is a very nice work since the regular GeForce GTX 295 is made of two PCBs like the old good GeForce 7950 GX2. What are the advantages of having only one PCB?